Search Put your search term(s) in quotes for an exact match. Why memorize?Grow love for God Memory Plan Why use rewards? "But the word of God is not chained." Our mission is to equip believers around the world to memorize Scripture effectively. And while the majority of our ministry takes place in the United States, our materials have been distributed worldwide thanks to the faithful giving of time and resources by God's people. 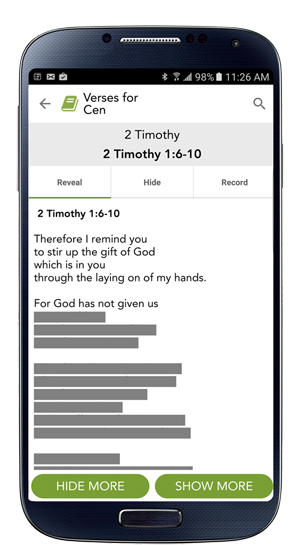 In addition to our Bible memory apps that are downloadable from anywhere in the world, we have ministry partners in both Indonesia and Spain who actively encourage Scripture memory in their communities. Click one of the flags below to learn more. © 2019. Scripture Memory Fellowship, Inc. All rights reserved. Send the app to your phone. Or click here to download it manually.